Welcome to the first of many in my "spring style" series! 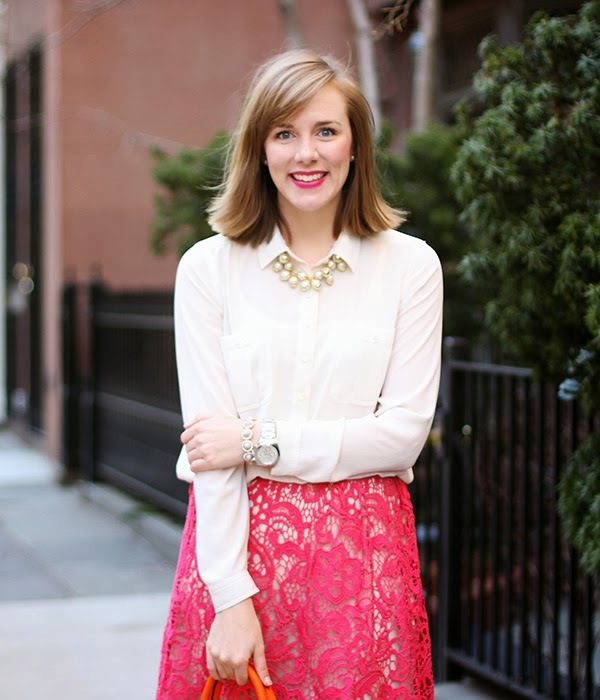 Though it's still frigid outside I've got spring on my mind and I wanted to share some style inspiration with you. I'll be styling looks for occasions like a spring wedding, work, brunch, wine tasting, etc. Tune in each Friday to see the latest look! 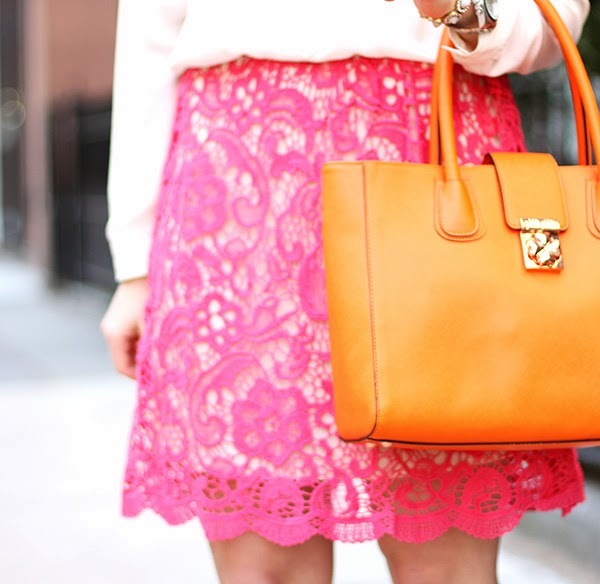 Looove that pink skirt, and it's so fun paired with the orange bag. So bright and springy! that skirt is perfect tracy! !